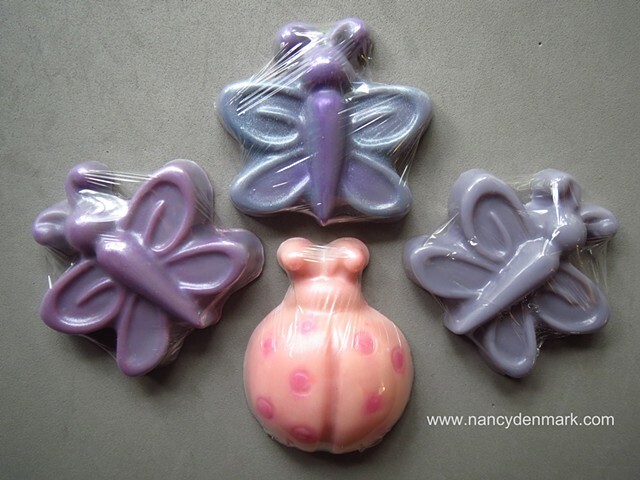 Lavender Butterflies and Melon scented Ladybug all made of goat's milk soap. $3 each. fun additions to gift assortments.